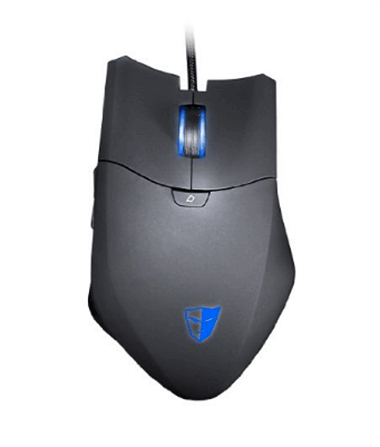 The Tesoro Thyrsus H8l 8200 DPI is a mid-range gaming mouse with amazing features but a rather boring and plain body. That said, not everyone will find the design of the Tesoro Thyrsus to be a problem. After testing the mouse out for two hours on World of Warcraft I had a friend stop by and say, “Woah, that’s a good looking mouse.” Although I looked at him a bit funny I looked back down at the mouse and its sleek, smooth, and simplistic design started to grow on me. The main point: Tesoro wasn’t concerned with looks and instead focused on providing top-quality features because that’s what it truly comes down to for professional and serious gamers. 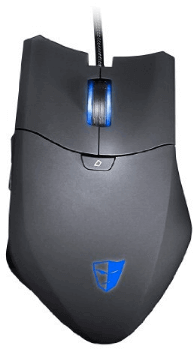 The software was extremely easy to install because the latest versions are online and other than that, this is a plug-and-play mouse. The software allows you to program your settings and buttons and create different, unique profiles for each game and/or application that you frequently use. The mouse has a total of 10 fully programmable buttons, which certainly provide adequate means of personalization for nearly all gamers. It didn’t take long for me to notice that the Tesoro Thyrsus is built with fantastic quality and engineering precision. The left and ride clickers have an extremely awesome and responsive click feel to them. I definitely didn’t feel like I was being cheated from the classic click feel. The mouse also has a nice rubberized grip on the scroll wheel, which made it easy to grip and perform precise movements during FPS gameplay. The mouse also has 6 level resolutions with 64 KB of built-in memory. Yes, that’s right. You can save up to 35 unique macro commands in 5 different profiles. Another nice feature is the IPS detection and 30 G acceleration. Out of the 10 fully programmable buttons, 6 of them are thumb buttons, which as you know is a straight awesome feature of any mouse. The sensor on the Tesoro Thyrsus is an ADNS-9800 laser sensor, which is specifically designed for gaming applications. Now let me tell you something. If you’re used to playing with a cheap sensor and then you switch over to a high quality laser sensor that is built for gaming, then you will notice the difference immediately. You may not even be aware of it and it might seem like it’s not a huge factor in your gameplay. But trust me. The sensor can make you feel like you’re on an entirely new planet. Playing away until some fantastical and surreal voice commands you to stop at which point you’ll keep playing because you can’t get away from a sensor this damn great. The movements were fluid and concise and nothing, nothing was getting in the way of the laser picking up a signal. To test the mouse’s sensor, I used it on a textured stone table, a picnic table, the floor, my kitchen countertop and my mattress. The 1000mHZ polling rate is truly astounding. If you don’t know what the significance of the polling rate is all you need to know is that faster polling times mean faster response times. In addition to the sensor this mouse has a 2 meter braided cable that is sturdy right out of the box. It wasn’t a hassle to pack up and unpack. No batteries is a good thing too. There’s nothing worse than being in a middle of a game when your wireless mouse dies out and you’re left stranded with nothing left to save you and your team but a scrappy old touchpad. And even though this mouse is simplistically and ergonomically designed, it still has several light features, which you can program yourself. Now as I’ve said before. Most gamers won’t find themselves in need of a huge DPI range. 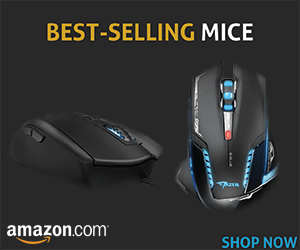 It’s really becoming a bragging point for gaming mice, yet with no real demand for it. If you think you can tell the difference between 3200 and 4200 DPI then you’re probably a professional gamer in which case you’re using a mouse that has worked out for you for a long time. That said, the Tesoro Thyrsus H8L has a max DPI of 8200. And yes it will provide the adequate DPI for virtually every player on the planet. I checked out various DPI settings and found that the 8200 was a little bit too much, but regardless, Tesoro has designed a gaming mouse that will satisfy all gamers. They’ve surpassed our expectations and refused to try and fool us with fancy design features that never amount to any genuine gaming features that distinguish an office mouse from a gaming mouse. So if you’re in the market for the best gaming mouse in the mid-range price then check out the Tesoro Thyrsus and I promise you it will not disappoint.